The latest Forbes article from Jonathan Rogers, co-managing partner for Forum Financial Management and a contributor of the Forbes Finance Council. Read “Learn To Invest Like A Casino Rather Than A Gambler” below. The way that markets work can be explained using the analogy of sports betting. In Las Vegas, when you bet on a team, you cannot bet $100 to get $100 -- a straight up bet on who will win the game. Instead, the casino will either pay out at a different ratio or offer a bet on the point spread. The point spread basically means that the favored team must win by more than that spread for the bet to pay out. If you are betting on an NFL football game and the point spread is 3.5 points, you would lose that bet if the favored team wins but only by a three-point field goal. Think of it like playing a game of basketball with a younger sibling and spotting them a three-point handicap to make the game more even. If set fairly, that handicap would give you both an equal opportunity to win. Relating this back to the markets, stock prices function similarly to a point spread. At its essence, a stock’s price is the price at which a buyer and a seller agree to transact because the buyer believes a company will do better than everyone else’s current expectations and the seller thinks it will do worse. So, like our sports analogy, stock market participants cannot bet on whether the underlying company will or won’t be successful. Instead, when you invest in a stock, you are betting on whether the company will be more successful or less successful than people think. Apple was among the most widely traded securities in 2016, according to MarketWatch. When choosing to invest $10,000 in Apple versus $10,000 in Blackberry, you should think in terms of spreads. Apple’s stock price will not do better if the company simply does better than Blackberry because that is expected and built into its higher stock price. If Apple delivers on their higher expectations and Blackberry delivers on their lower expectations, then both the blue chip and the underdog should deliver comparable stock returns. More often, companies will either exceed or fall short of expectations, causing the price to rise or fall. The constant fluctuation of stock prices is a direct reflection of the changes in expectations caused by news about the company, its competitors, its customers and the greater business environment. Some of this news gets built into the expectations of each person trading the stock, just like the weather, player injuries and statistics get analyzed by professional sports gamblers in Las Vegas. However, in Vegas, bets occur at a single point in time, while stocks increase in value (a.k.a. appreciate) when held over time. To illustrate why stocks appreciate over time, think of what happens when a business builds a table. They use $10 of raw wood, an hour of human labor that may cost $15 and miscellaneous other expenses of $5. They then sell the table for $100 and the next time can build two tables -- and then the next time four tables. That compounding productivity is why stocks grow. Stock owners do not need to win a bet, but rather they accrue the benefit of that company's production. This distinction is critical and is why we call it stock market investing rather than betting. A casino will not take a $1 billion bet on a single NFL game, because they do not know who will win, and taking the bet might destroy the company. The opposite is also true: They would love to take a million $1,000 bets with half of those bets on either side. The casino also takes a percentage rake on every bet, so it knows it will win. Similarly, as investors, we should spread our investments over thousands of companies, because in aggregate, we know stocks will accrue the compounding productivity of companies. Any one company that fails to deliver will have no noticeable impact on your portfolio if you own shares of the over 10,000 publicly traded companies worldwide. In short, you should not think of yourself as a gambler within your investment portfolio. You should act like the casino instead. 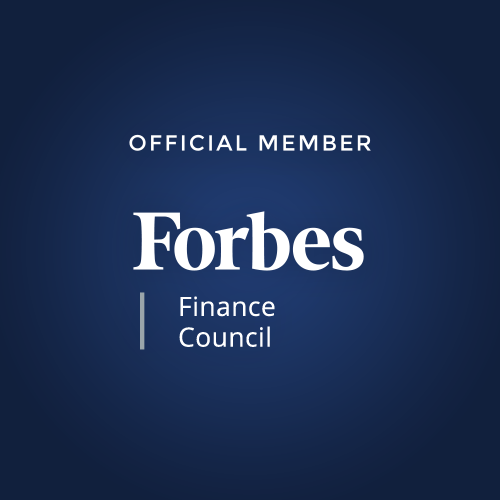 Forbes Finance Council is an invitation-only organization for executives in successful accounting, financial planning and wealth management firms.